The Schacht Motor Car Company of Cincinnati, Ohio (nothing like a really solid German name like Schacht to be able to guess this was built in Cincy), built high-wheelers from 1905 through 1909. 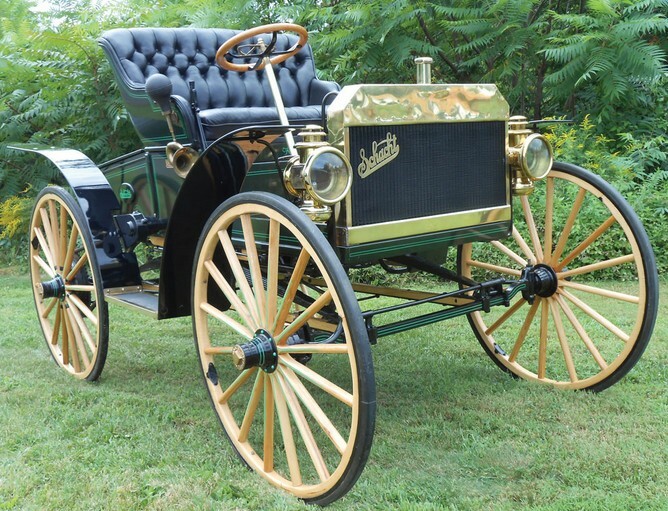 Come 1910, the company switched to more traditional cars like this all-original Model K Runabout. This car uses a steering wheel instead of a tiller (popular at the time) and a water-cooled 3.0-liter two-cylinder engine producing 18 horsepower. The engine has not been run in over 20 years and some mechanical work will be necessary in order to drive this car. Schacht soon turned to commercial vehicles and was able to soldier on until 1940. This car has been in the Antique Automobile Club of America (AACA) Museum since 1996. It should sell for between $20,000-$25,000. Click here for more info and here for more from this sale. Really? Another Schacht – and another Model K Runabout at that? Why am I featuring this? To show you the difference a year can make. Schacht started by building high-wheelers just like this. They were referred to as the “Invincible Schacht” because they were apparently so rugged (the Titanic was also considered invincible, FYI). This uses the same engine as the car above (perhaps it would’ve made more sense to feature this one first and do things chronologically, but oh well). The major difference is the size of the wheels. The cars have the same wheelbase. Another major difference is that this example is in full running and driving condition. And that is apparently only worth a $5,000 premium – as this car is expected to sell for between $25,000-$30,000. It was restored in the early-1990s. Over 8,000 Schacht road cars were believed to have been built before the full-time switch to commercial vehicles occurred in 1914. Click here for more info and here for more from RM. 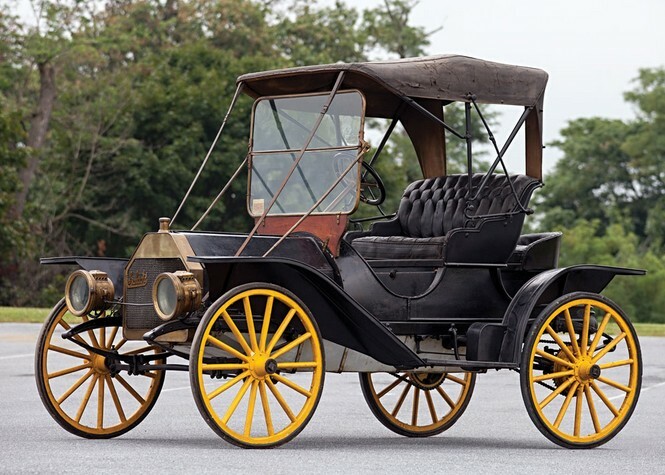 This entry was posted in Uncategorized and tagged 1909, 1910, auctions, cars, classic cars, high-wheeler, model k, rm auctions, runabout, schacht by classiccarweekly. Bookmark the permalink.